Rental City | Pie in the Face for Hospice! Pie in the Face for Hospice! Because giving to charity is fun! Home / Individual Store Locations / Huntsville / Pie in the Face for Hospice! For the month of May, we are donating all of our processing fees to Hospice Huntsville. 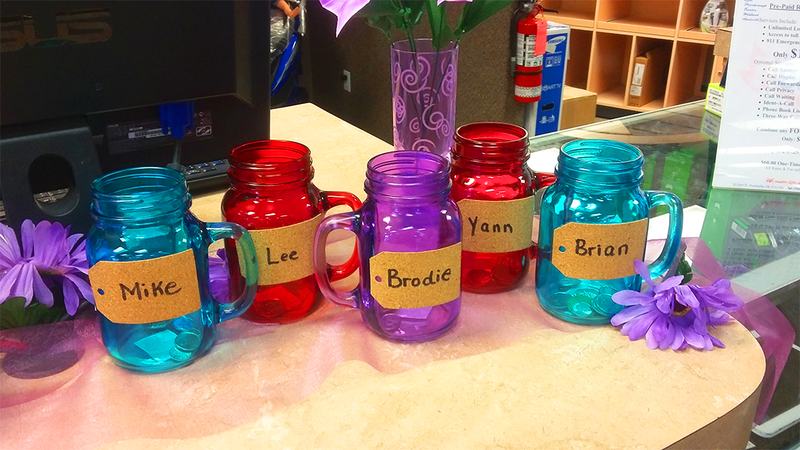 When you rent a new item from us, you get to choose which staff member’s lucky jar the funds go into. Whomever has the most funds at the end of the month is getting a really messy pie right to the face – all in the name of charity. You can donate to buy more chances. All money will go to the charity. We’ll share photos on our site and Facebook, you won’t want to miss it! Make your next rental count for charity! Come see us for more details or to donate to Hospice Huntsville.